2019 Genesis Vortex 4025VXL 5th Wheel Toy hauler with Residential Package! NEW 2019 Genesis Vortex 4025VXL Fifth Wheel Toy Hauler with bedroom and living room slide out! *There is 25 feet of cargo space and 78” under the bunks in the up position! 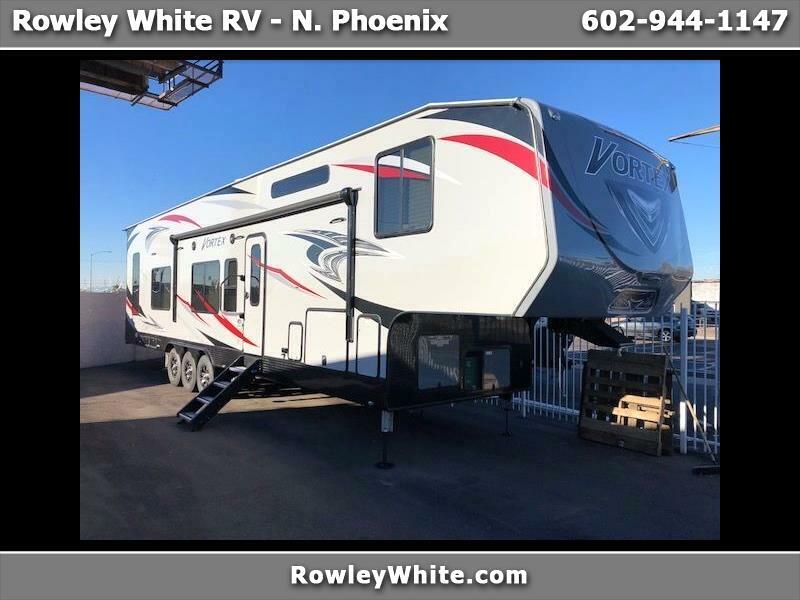 Rowley White RV carries several different brands of travel trailers and toyhaulers giving you more to choose from, including this Cherokee Wolf Pack. This trailer has everything for the weekend adventure.